We love FarmHouse Fresh skincare. 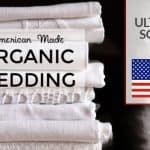 Yes, of course it's made in the USA, Texas to be specific, and their products are also 97% natural from naturally derived ingredients, and chock full of fruits, vegetables, milks, and more from U.S. farms. Each product is hand assembled and packaged with a touch of country humor, whimsy, and nostalgia. 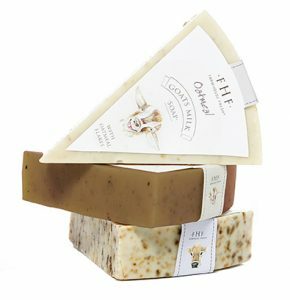 Here is the latest: they have just introduced a new line of dairy fresh whole milk and goat's milk based soaps. 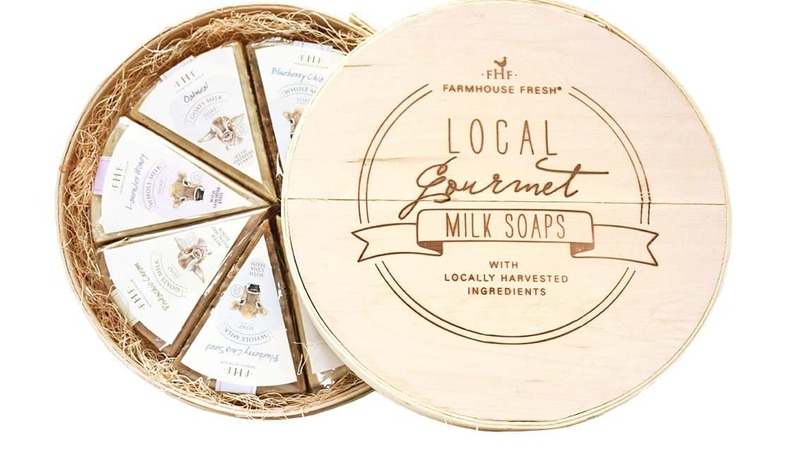 The new line of generously sized soaps are cleverly shaped like wedges of cheese and they smell as divine as the rest of the FarmHouse Fresh line. 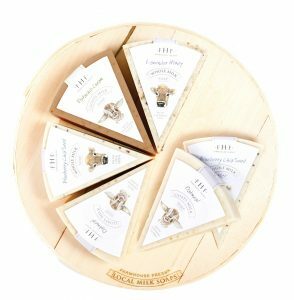 They feature ingredients such as real U.S. farm milks, herbs, honey, oats, nuts and berries. Blueberry Chia Seed Whole Milk Soap features blueberries from Oregon and whole milk from the Midwest. Other ingredients include: olive oil, coconut oil, rice bran oil, water, and chia seeds. Pistachio Cream Goats Milk Soap features California pistachios and goats milk. Other ingredients include: olive oil, coconut oil, rice bran oil, and water. Honey Lavender Whole Milk Soap features Texas honey, whole milk from the Midwest, and Washington lavender. Other ingredients include: olive oil, coconut oil, rice bran oil, and water. Oatmeal Goats Milk Soap features goats milk from California and certified organic oats from Kansas. Other ingredients include: olive oil, coconut oil, rice bran oil, and water. All FarmHouse Fresh products are paraben-, sulfate-, gluten-, and phthalate-free. The fragrances are made from phthalate-free fragrances, or essential oils. FarmHouse Fresh bath and body products are exquisite, luxurious, and we're sharing them with you just in time to splurge on yourself for or gift them for the holidays. Enjoy the benefits of luxurious spa treatments at home by using FarmHouse Fresh. 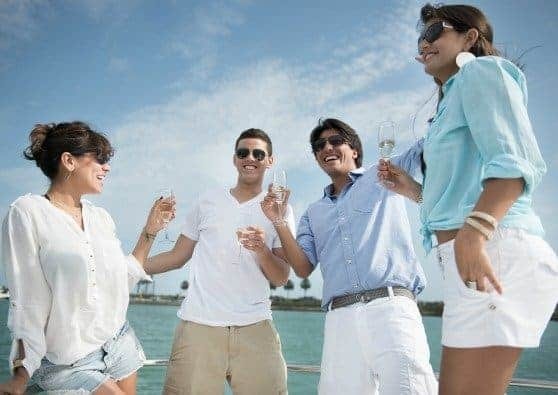 Here are a few of our long-time favorites we want to share with you. The FarmHouse Fresh Whipped Honey Fine Body Scrub is made with fine grain sea salt, honey, and rice bran oil- which contains a high amount of vitamin E. Start off you home spa treatment by massaging the Whipped Honey Fine Body Scrub onto your feet in circular motions to remove dead skin. Your feet will be left smooth and soft! 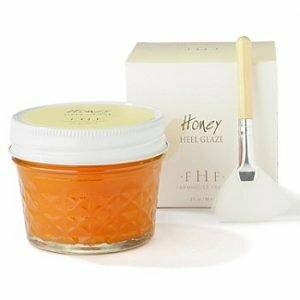 The Farmhouse Fresh Honey Heel Glaze is made with genuine honey and aloe leaf juice. After using the Whipped Honey Fine Body Scrub, brushing on this moisturizing glaze is sure to invigorate your tired, dry feet, while the warm scents of cinnamon and honey relax you! The Farmhouse Fresh Hello! Yellow Shea Butter Cream is made with shea and cocoa butters, while vitamin E packed jojoba and soybean oils calm even the driest of skin. This cream is sure to brighten your outlook with soft scents of vanilla and citrus. 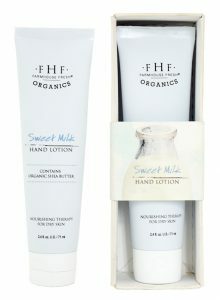 The Farmhouse Fresh Sweet Cream Body Milk is infused with a blend of natural oils that provide lasting softness to skin: Vitamin E-rich Rice Bran oil, Jojoba Seed oil, Sweet Almond, Avocado and Sesame. This delicate moisturizer pours over you like milk, and leaves light velvety notes of warm sweet cream. An irresistibly softening body polish that rinses clean, smoothes away rough spots and removes dead skin cells using certified‐organic sugar crystals, and hydrates the body with certified‐organic shea butter and sunflower seed oil, offering a mix of lemon, bergamot and licorice notes. A lightweight, non‐greasy moisturizer that nourishes hands and body with certified organic shea butter, aloe vera leaf juice, sweet almond oil, vitamin E, while whetting the appetite with notes of sandalwood and tonka bean, which do not compete with one’s favorite perfume. These generously sized 97%‐natural Milk Soaps (4.5 oz. bar) retail for $14 each and they are free of parabens and sulfates. Each soap is gluten‐free, except for the Oatmeal Goat's Milk Soap. All FarmHouse Fresh fragrances are phthalate‐free. Did we mention they smell divinely delicious! Unwrap one to use right away and store the others in your drawers to sweetly scent your clothing. Click the arrow buttons below for further instructions on each entry. This giveaway will close at midnight on Thursday, November 9. The winner will be randomly selected, verified for correct entry participation, and notified by email. 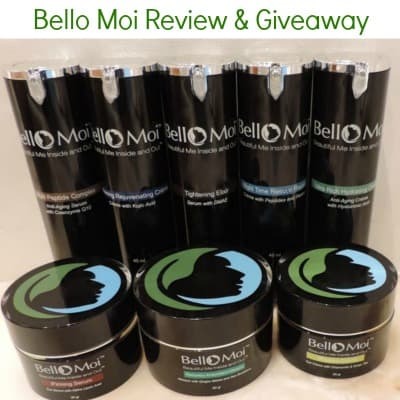 I want to win because I need to pamper myself and because i love that the products are all organic. American made means money and pride in our country. The scents of these soaps sound amazing! I would love to try them out! My godmother loves goats milk lotion and soap. I would love to gift this to her. I would love to win because I am a huge fan of bath and body products. So many awesome sounding products that is is hard to choose. The one that I would like to try first would be the Pistachio Cream Goats Milk Soap. I like to buy American made whenever possible to keep the American people working and to support the economy. I would definitely choose soap for my mom. She is a bath products fanatic. I want to win because I love organic and live in Texas! 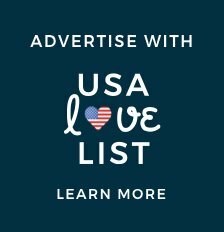 I want to buy American Made to support the hard working people of the USA! Love that Farmhouse Fresh is in Texas! I love the idea of the rollervall perfume! The soaps would be perfect for my mom. American made products are the best. 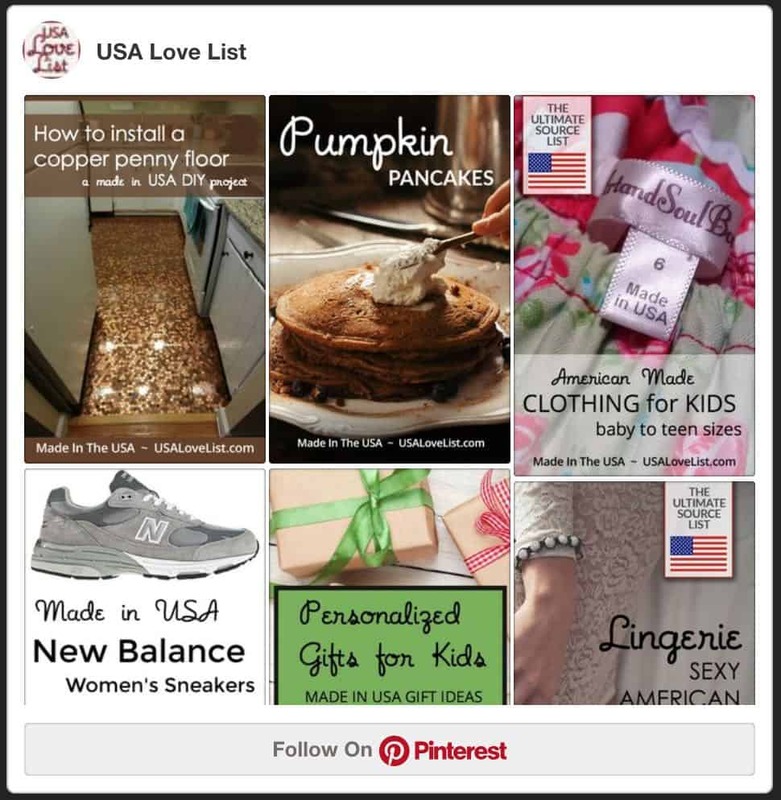 And, finding them is easy, thanks to USA Love List!! I would love to try the Pink Moon Shea Butter Cream. I sound lovely. I want to win because I’ve been looking for some lovely soaps made in the USA. Farm Fresh sounds like a great company. Natural products are best for my daughter because she has such sensitive skin. 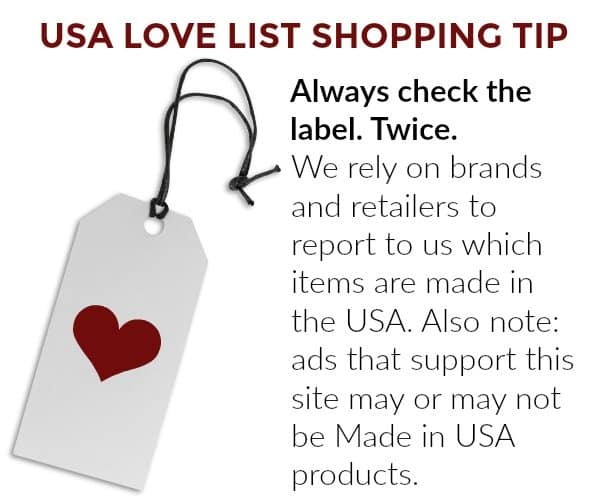 American made products keep American companies in business. It breaks my heart to see all of the local mom and pop places go out of business! 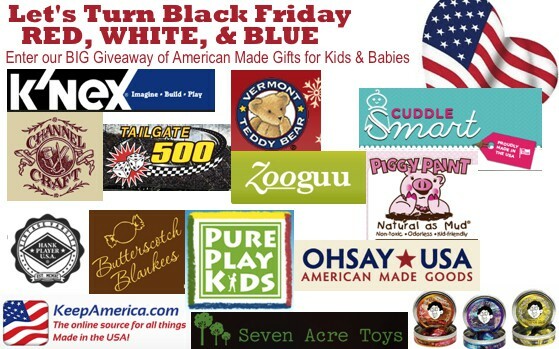 Buying American made products helps American families! I would like to win because I really need to get started on my Christmas shopping! The body milk looks perfect for my daughter. She has such sensitive skin! 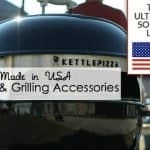 I like to buy local, artisan and USA made products to support local families. I would like to win because their products look and sound amazing. I would really like to try the Rainbow Road Shea Butter Cream. It sounds like something that I would like. I’d like to win this for Mom, she’s in an assited living facility now and deserves something nice. Support for America’s industry, regardless of the product, is very important to me. I want to win to learn of a small American business, and the Front Porch Punch soap sounds like it must smell great! I’d like to win to have a product made with natural fresh ingredients and support USA made products. I have not tried Farmhouse Fresh products yet. I’d love to try the Fluffy Bunny Body Wash.
It’s important to support USA made products for jobs and our economy. I would love to win because I have been searching for high quality organic bath/body products and these soaps look divine! I’m also on a Made in U.S.A. track, and would love to try these soaps out. Thanks for the giveaway offer! Marshmallow Melt All-Purpose Balm. She is expecting in May, and it would be nice to pamper her with a body balm. I’d probably also get her the Soap Lovers Limited Edition Gift Set because the scents sound wonderful and it would be nice to pamper her. 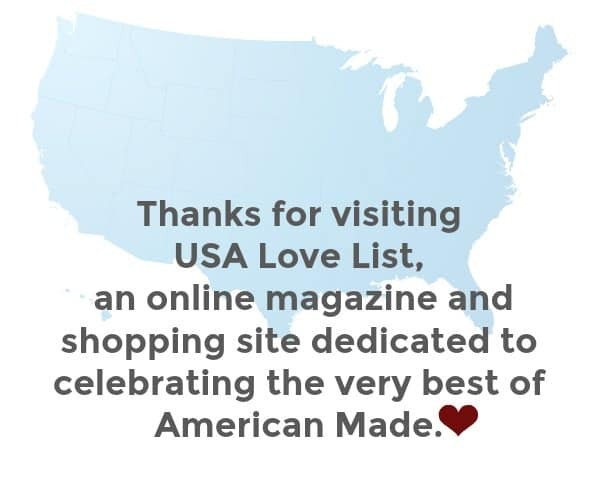 I like to buy American Made because I want to see our country prosper again. It’s important to help out American workers, and you can’t beat the quality! I would like to win and buy more products because I love companies that give back. And it looks as though they do a lot of giving back. SO many reasons why I’d love to win…..but the fact that it’s a certified woman-owned business really makes me want to support it! Oh, I’ve never tried tried Farmhouse Fresh products before, but I am really excited now, looking at all the super products. It sounds like Farmhouse Fresh is the PERFECT name! I’d love to get the Sweet Cream Body Milk for my mom. She’s ill and her skin is very fragile. She gets reactions to all the chemicals in regular moisturizers – but this sounds perfect for her! Would love to try your products, they look amazing! Support our economy and better ingredients. I only found out about this company recently; then I saw a video on facebook of them letting some goats free to roam in a field for the first time in their lives and now I LOVE them! Now that I have discovered them I have a huge wishlist on Amazon of their products, absolutely first on the list is goat milk soap. Nothing works better on y skin. So, obviously winning it would be fantastic. many Pins and Instagrams promised! I would like to win because I like when companies use fresh farm ingredients. I double like when all the ingredients are out of US Farms. Big Bare Whipped Shea Butter Body Polish sounds amazing to use. My skin got so dry this summer this would help having the shea butter in it nice gift to give for the holidays too. I love supporting companies that make products made in our country!